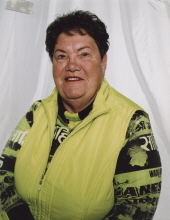 On Thursday, January 17, Mrs. Joan Hall of Vermilion passed away at the Royal Alexandra Hospital in Edmonton, Alberta at the age of 81 years. Rhoda Van Nes of Vernon and Judi (Edward) Wojda of Edmonton as well as numerous extended family. "Email Address" would like to share the life celebration of Joan Isobel Hall. Click on the "link" to go to share a favorite memory or leave a condolence message for the family.